On Monday, Givens was sitting in his patrol car in a parking lot when he was accosted by one very unexpected visitor who seemed dead set on getting his attention. 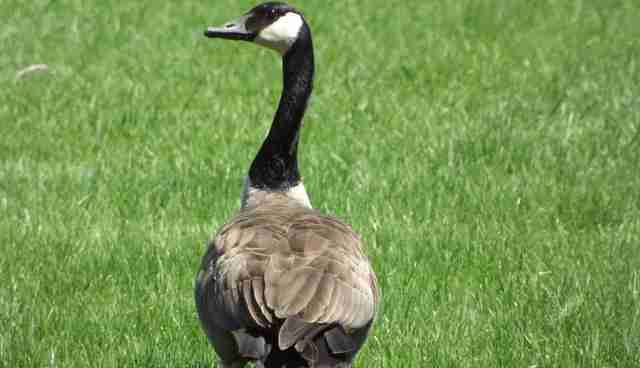 "This goose came up and started pecking on the side of the car," Givens told The Dodo. "I threw some food out for her, but she didn't take it. She just kept pecking and quacking. Then she walked away, stopped and looked back. Then came over again and pecked some more." When the goose walked away a second time, and again looked back, Givens decided to follow her. And it's a good thing that he did. "She led me about 100 yards away to this grassy area near a creek. That's when I saw one of her babies all tangled up in some string from a balloon. His little feet were kicking," said Givens. "She led me straight to him." Though stunned by what just happened, Givens was wary of approaching the trapped gosling, fearing that the goose might attack if he did. So instead he radioed the SPCA, but no wildlife rescuers were immediately available. Givens' colleague, Officer Cecilia Charron, heard the call and volunteered to help. "She showed up on her own," he said. "I told her to be careful, but she just walked over and untangled the baby. 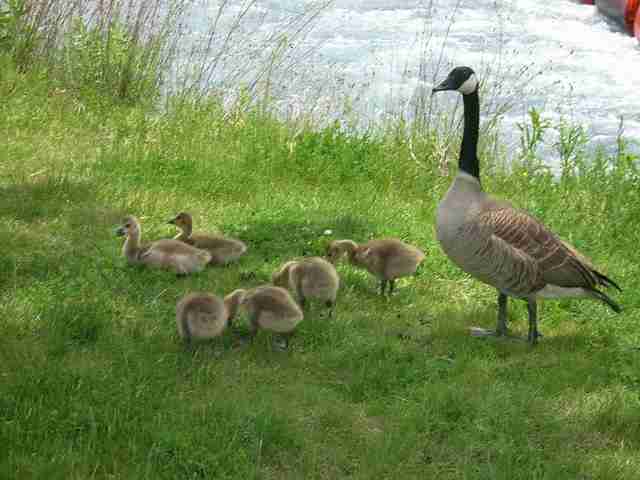 The mother goose just watched, like she knew. It was amazing." Once the baby was untangled, Givens and Charron looked on as he rejoined his mom and swam away safely. Not surprisingly, the officers were in disbelief about how it all played out from start to finish. Charron even started to tear up, telling Givens it was the highlight of her 24 years on the force. "It seems like something made up. It was just incredible," said Givens. "I honestly don't know why I decided to follow her, but I did. It makes me wonder - do they know to turn to humans when they need help?" 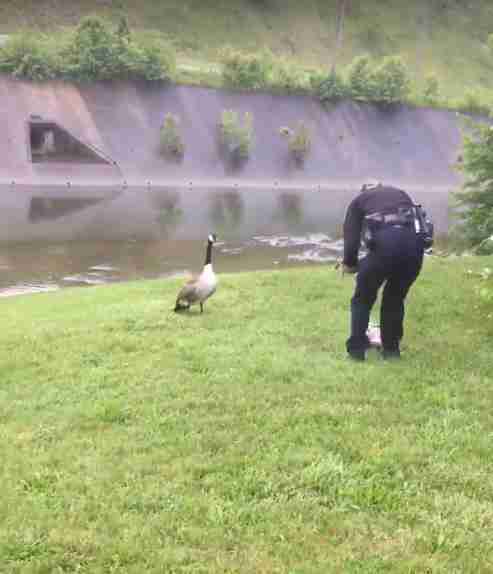 Though we'll never be sure if the desperate mother goose did indeed approach the officer knowing he would help, what is certain is that he did - and that's what made the difference. "I don't know what it all means," Givens said, "but I hope it might inspire more compassion in other people."